Woolpit Nurseries celebrate 40 years in business on 10th October 2018. 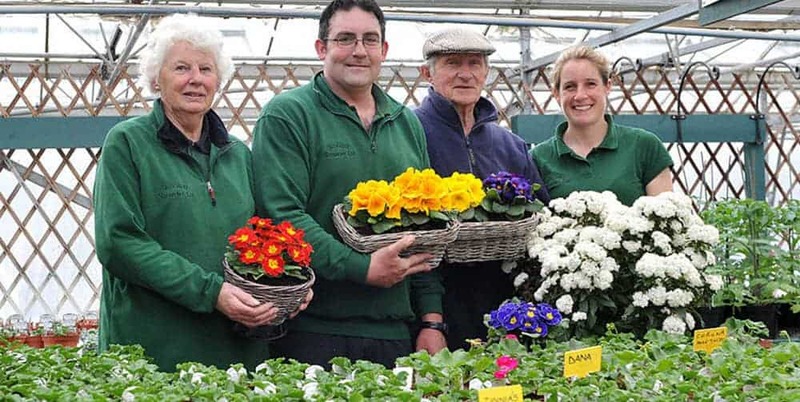 In 1978 Bob and Pam Jackson bought an existing tomato nursery in Woolpit, which they then expanded into bedding plants and hanging baskets some 25 years ago. Their daughter Catherine and son-in-law Andrew Brain joined the business in 2002 and now run the business with Bob and Pam still working at the busy times of the year. Typically though, their business is so busy that they haven’t got time to party. If you require any more advice, or want to see our large selection of autumn, spring and summer bedding plants, then please come and visit the nursery we are open Monday to Saturday 9am until 5pm, Sundays 10am until 4pm. Or you can Contact Us through our website.